If you were out for a causal stroll at the mall, and someone yells “Get over here!” at you, you might lazily wonder who said it. 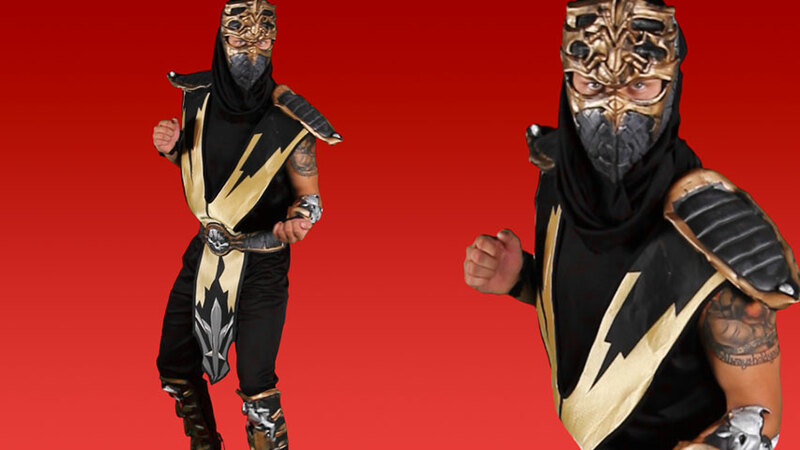 But, if you're walking around in the Netherrealm and hear it, you'd better dive out of the way and get ready to fight! 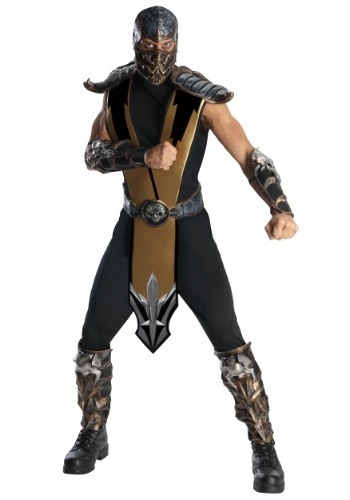 Or, if you prefer to be the one doing the shouting, dress up in this fearsome Mortal Kombat Scorpion Costume, and become the infamous ninja from the hit video game series! A warrior doesn't get a nickname like “Scorpion” by being friendly and bringing the after-fight snacks for everyone. At least, that's not how Hanzo Hasashi earned that bone-chilling title. Everybody calls him Scorpion because he's a scary dude with quick and deadly moves, and he can sting his opponents with his trademark spear attack that shoots out of his hand like a scorpion tail, which doesn't make a ton of sense, but we don't get nit-picky with ninjas named after creepy arachnids. We also can't decide if he's a good or bad guy, since he's a brutal fighter, but Scorpy still fights with honor, even when facing off with his nemesis, Sub-Zero. Who would have thought fighting games involved so much drama?